Check out these basic items that are the foundation of your business. Now that your small business is in an actual office, it’s time to celebrate! Before you host an open house for the local community, it’s time to think about the office supplies, furniture, and other essentials that you need to keep your business operations running as smoothly as possible! Start with the basics! Pens, pencils, highlighters, scissors, and trash cans are all office staples that set your employees up for success. While you may have a tablet or laptop, a desktop computer makes running a business easier. Software is easier to download on a desktop, as well as performing advanced tasks. 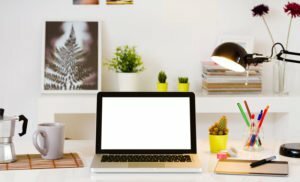 In addition to the computer, pick up a printer and a wireless router to keep all the devices connected – as well as looking like a company in the 21st century! Desks, chairs, and storage cupboards are all essential to look like a reputable company. Office furniture helps you to work more effectively with functional items! Keep your team on track with visual goals and tasks! The busier you get the more important time management becomes. Allowing your team to contribute to the whiteboard or calendar means that you can list all deadlines, appointments, and to-do items. You’ll need things to write and print on. Stock up on copy paper as well as notepads so that yourself and your team are completely prepared! As a business owner, you’ll want to protect your growing investment. Business insurance can do just that. Everything from liability to the property to the finances, McCarty Insurance Agency covers your business with the best policy that suits your budget. Visit us in Fresno, California to get started.